At Smile Care Family Dental, we understand that having a complete, natural smile is key to feeling confident in your daily life. We also know that on occasion, circumstances may arise that require a patient to receive a routine or emergency tooth extraction in order to preserve overall oral health. Dr. Parveen Sultana / Dr. Angela Gruber knows that the decision to extract can be a difficult one, so they make sure that every aspect of the procedure is as stress-free and comfortable for our patients as possible by keeping you well informed, aware of what is happening, and aware of what your choices are along the way. After the tooth has been removed, Dr. Sultana and Dr. Gruber will have you bite down on some gauze in order to help stop the bleeding, so that a blood clot can form. 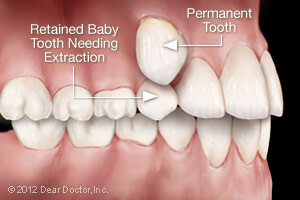 After your extraction, your recovery typically takes a couple of days. The following tips will help you relieve discomfort and avoid complications. Take pain relievers as prescribed or recommended. Leave gauze in place for the recommended amount of time. Apply ice for 10 minutes at a time to minimize swelling after the procedure. Avoid rinsing, sucking, or spitting for six hours after the procedure. After six hours, rinse your mouth with ½ teaspoon of salt and warm water. Eat soft foods the day after the extraction; gradually add solid foods as the extraction site heals. Avoid the extraction site when brushing your teeth. When teeth must be removed, especially ones that appear in your smile, there are a number of natural-looking, permanent tooth-replacement options, such as implants, that can give your smile a second chance. It is normal to experience some pain after the anesthetic wears off. 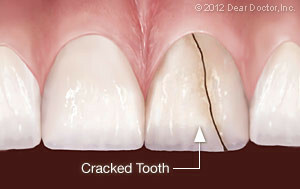 There may also be some swelling and bleeding for up to 24 hours after the tooth extraction. If pain is severe or bleeding doesn’t stop, you should contact us immediately. On occasion, the blood clot that has formed in the socket breaks loose. This is referred to as dry socket. Will insurance cover tooth extractions? Whether your tooth extraction or emergency tooth extraction is covered by your insurance depends on your provider. Our staff will help you find out if your extraction is covered and, if not, what additional financial solutions are available to you. To schedule an appointment with our Chester Springs and Downingtown PA dental office, call Smile Care Family Dental at Call: 484-348-1800 today.